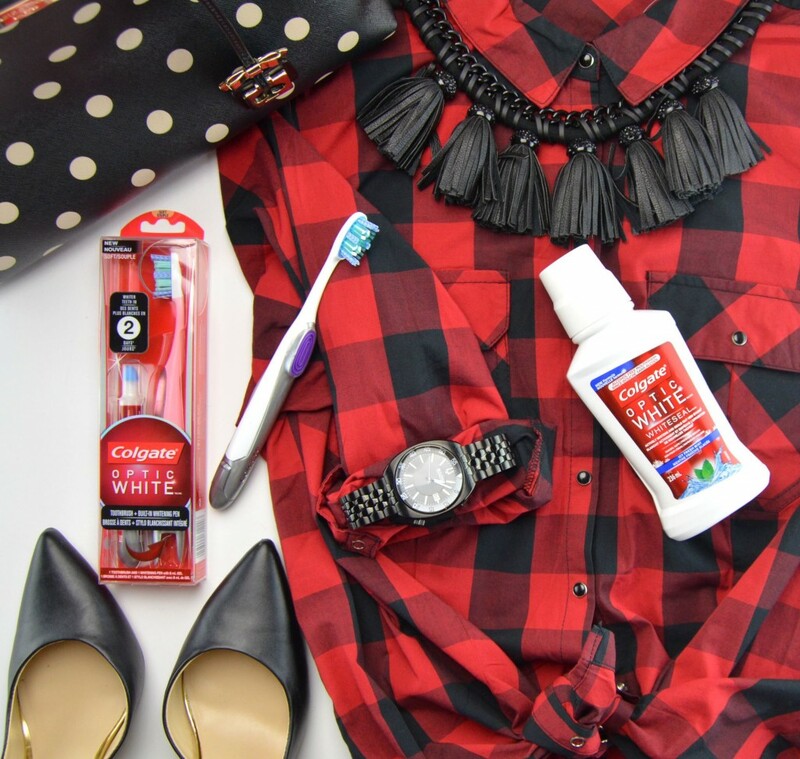 As much as I love pearly white teeth, I’m not about to give up on my coffee or Coke addiction, which means I rely on whitening products to keeping them sparkly. I’ve tried endless amounts of products, anything from whitening strips to whitening trays, molds and even professional Zoom whitening, and while the end results are always remarkable, sometimes we just don’t have the time for that. 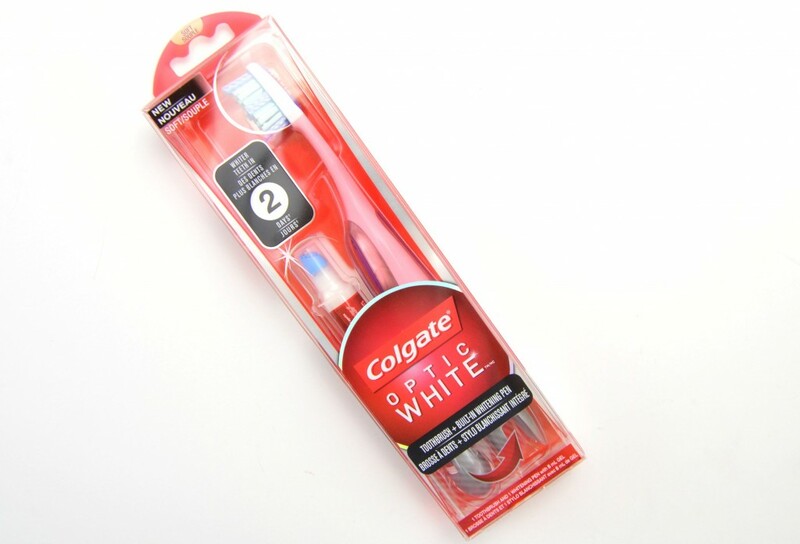 I was recently sent the new Colgate Optic White Toothbrush + Built-in Whitening Pen and I have to say, I’m in love. 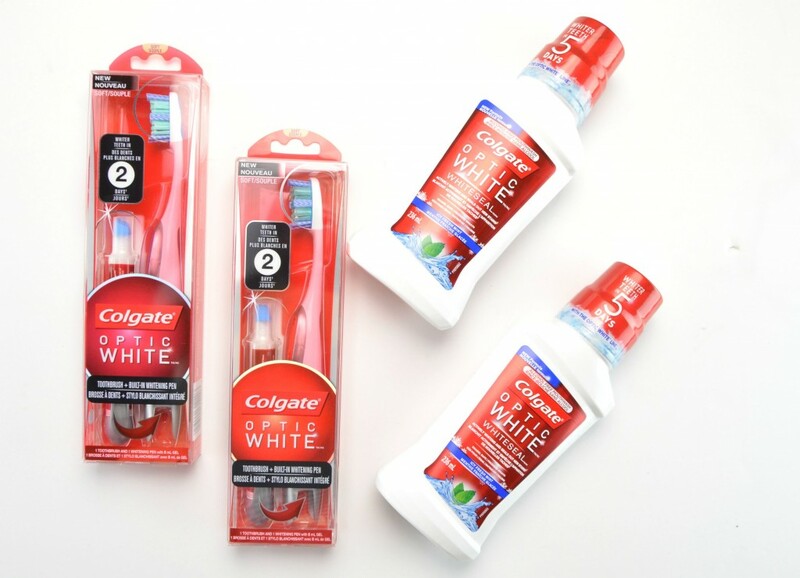 Colgate Optic White Toothbrush + Built-in Whitening Pen is a unique and innovated little product that goes beyond simply brushing. 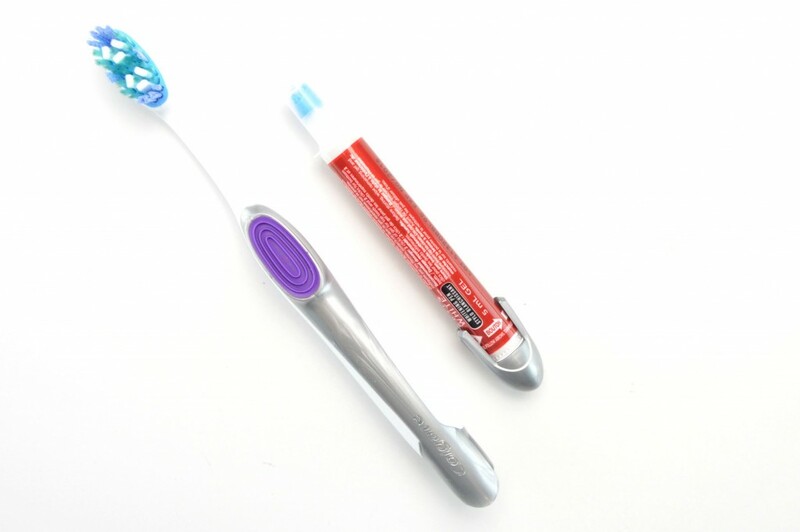 This is not your standard toothbrush, it actually contains a built-in whitening pen to help you easy and effectively achieve whiter teeth in as little as 2 days. 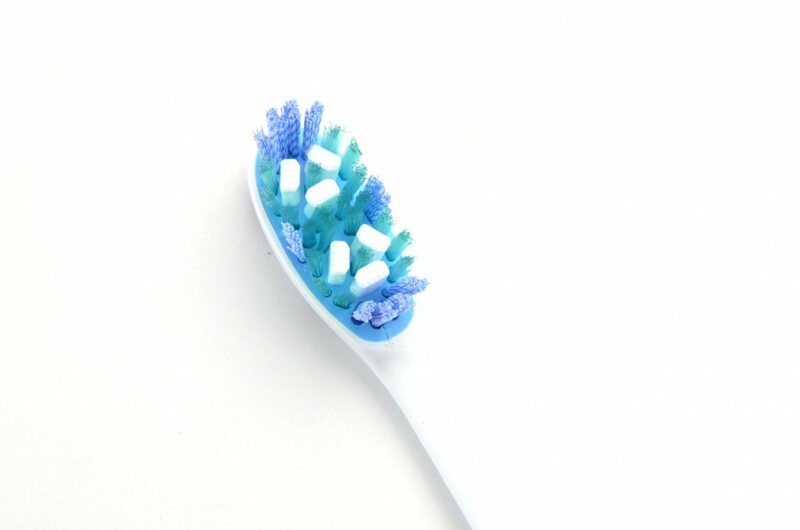 You simply brush your teeth the way you normally would, with your regular toothpaste, but thanks to its specially designed polishing bristles and stain removers, it helps to remove stains on the surface. 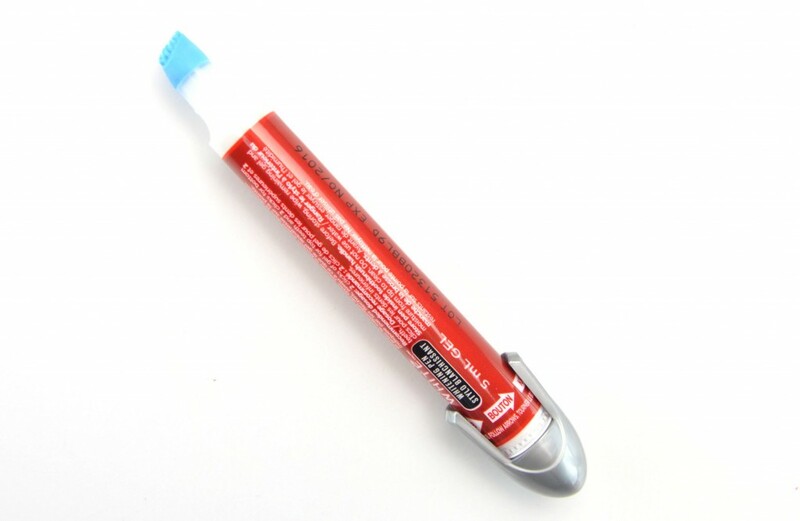 After brushing you just simply turn the dial at the bottom of the pen to apply the whitening gel found within. 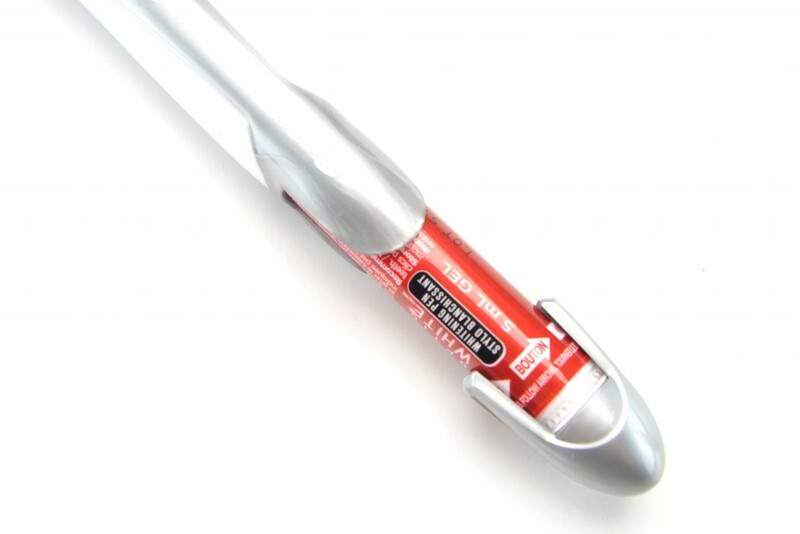 It instantly adheres to your teeth, no waiting for it to dry and no rinsing required. 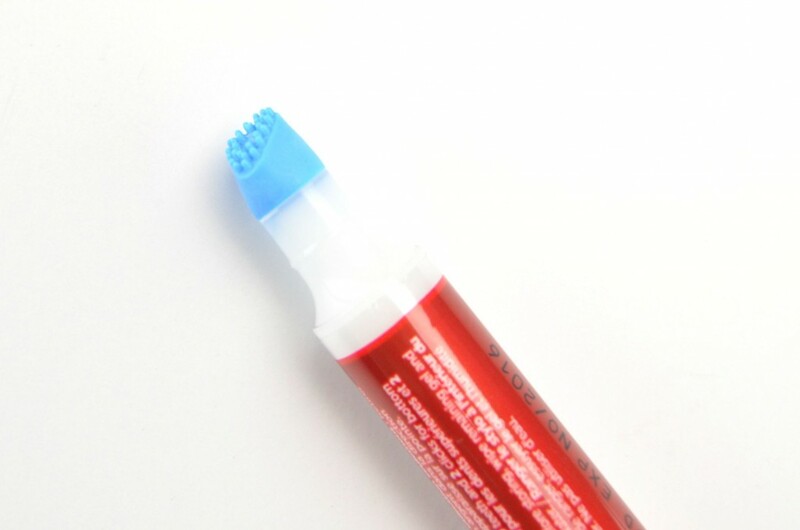 You then just simply store the pen back inside the brush and continue on with your day. 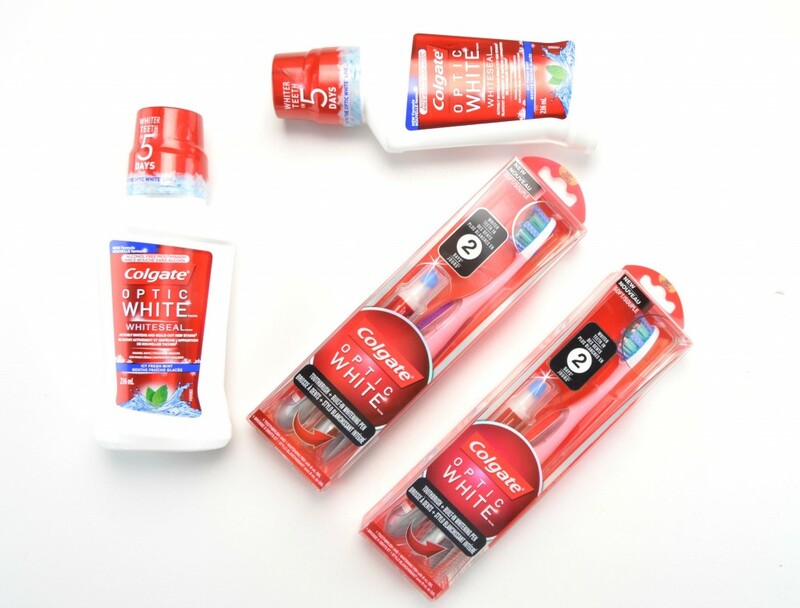 Whiter teeth within seconds. 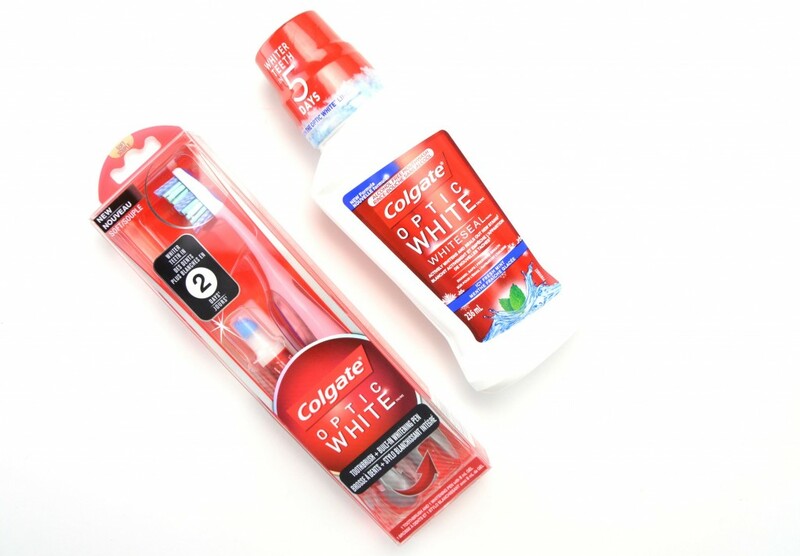 Colgate Optic White Toothbrush + Built-in Whitening Pen couldn’t be more convenient or more affordable. 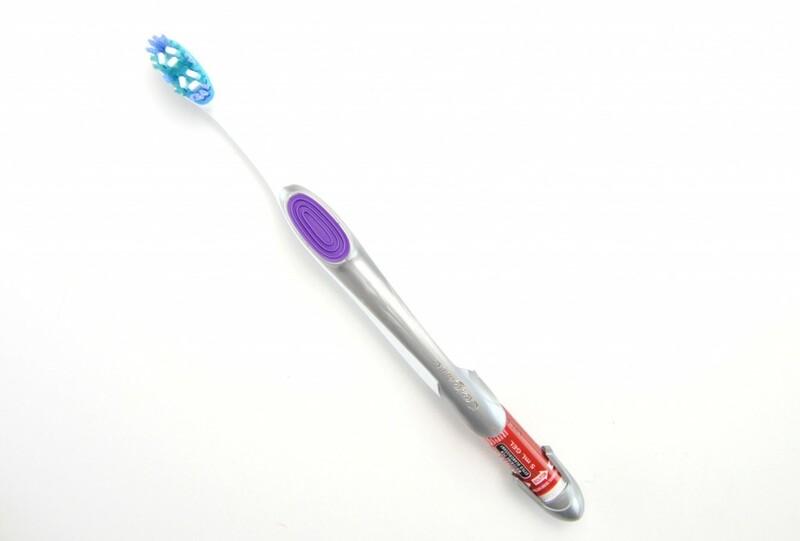 I’ve spent more on a single toothbrush than this entire new system costs. I’m obsessed that it not only provides a squeaky clean feeling and goes beyond surface stains, for a deep down clean, it also whitens at the same time. I love a 2-in-1 product. This is absolutely perfect for traveling. I actually brought it to Antigua with me and it kept my teeth pearly white all week long. It retails for $16.99. 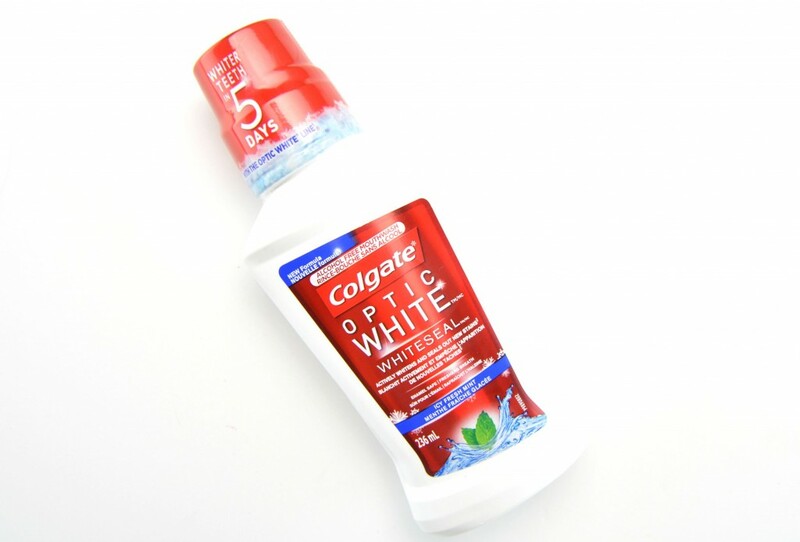 Another fave, is Colgate Optic White Whiteseal Mouthwash. It has a refreshing, icy, minty flavour that contains 2% hydrogen peroxide to effectively whiten my teeth after and in between brushing. Sometimes my toothbrush isn’t handy or I don’t have the time to brush after every meal, but swirling around a mouthful of this mouthwash keeps my mouth, teeth and breathe feeling fresh and clean. It also helps to remove surface stains, which makes brushing more effective. It retails for $5.38 for 250ml.